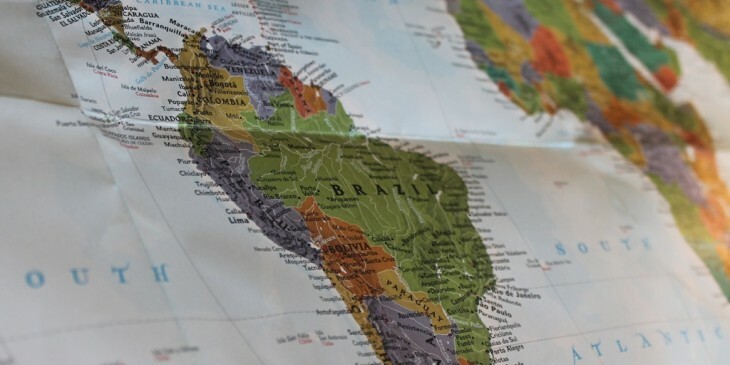 The Next Web Conference Latin America is in full swing, and yesterday saw the first ten startups take to the stage for the TNW Startup Rally in São Paulo, Brazil. Here’s a quick snapshot of who’s who and what they do. Based in Mexico, Carrot is setting out to solve the perennial problem known as ‘traffic jams’ in the capital – Mexico City. That’s a lot of time and money for sure, which is why Carrot’s carrot-on-a-stick for would-be drivers is an online car-sharing scheme, for “sustainable transportation”. You register via its website, you then receive a card that works as the key. And, whenever you need a car, you reserve it for a set period, find where it is and then drive away. Yes, it’s a little like Zipcar but for the Mexican market. For style freaks, there’s Brazil-based Dujour, a place for fashionistas to share what they like to wear and be inspired by others. Looks are posted as fashion-style editorials, with each clothing item tagged. Users can then navigate through other popular looks, users and brands. And as they follow others, they build their own personalized style feed. The company emerged from beta in January 2013, and says its user-base has grown to 70,000. Not bad at all. What the floqq is Floqq, you ask? Well, it’s a marketplace for video courses, from a company based out of Chile, Spain and the US. Whether you’re looking for promotion, to start a new company, learn a new lingo, Floqq serves up practical and concentrated video courses courtesy of experts in the respective fields. At the time of writing, it houses in excess of 600 short videos. Nubelo is an employment portal that lets clients hire independent freelancers, drawing on a slew of collaboration tools to help manage teams and projects remotely. So, independent contractors create online profiles and portfolios, submit proposals for jobs placed by employers, and then receive payment directly through Nubelo.The company’s based out of Chile. Uruguayan company TellMi is an app that offers free messages and calls between customers and businesses – it’s basically selling itself as the Whatsapp for the B2C sector. With the app, customers can ask questions, make reservations, request goods or services, and in future it plans to implement telephony for customers to talk directly to agents. Businesses have a Web app accessible through any browser, where they handle messages, phone calls, SMS and so on, while customers get a mobile app. CityHeroes is a Chilean startup looking to harness the power of smartphones to build better and safer cities. Combining mobile/Web apps and hardware, the company wants to connect genuine citizen issues with real people for fast solutions. Even a rudimentary grasp of Spanish will give you a clue as to what Easy Vino is all about. The Chilean company sells itself as a virtual sommelier (wine steward) that helps you pick the best wine in restaurants and stores. Its intelligent recommendation engine “understands” your taste to tell you what tipple you should opt for. GiveO2 is a mobile app to help you measure and offset your transport-induced carbon footprint. You download the app, register your car, and turn on the tracker. Then what? Well, just carry on as normal, except GiveO2 saves your journeys and tells you what your environmental impact is. If you believe that the way restaurants manage their waiting lists – with pagers, pens, paper and electronic displays – are archaic, then U.Sit could be for you. The Brazilian startup is looking to improve the customer waiting experience with four products – Waitlist System; Reservation Management; Analytics; and CRM. For restaurants, the company promises to deliver increased revenue, data, and customer loyalty. Samba Ads is a premium video advertising network, a spin-off of Samba Tech, an online video platform in Latin America. The Brazilian company gives media buyers access to millions of video views on local (Brazilian) premium publishers, in the form of standard and interactive ads, with targeting enabled based on devices, location and user behavior. Look out for a round-up of the rest of the teams – and news of the winner, coming soon.